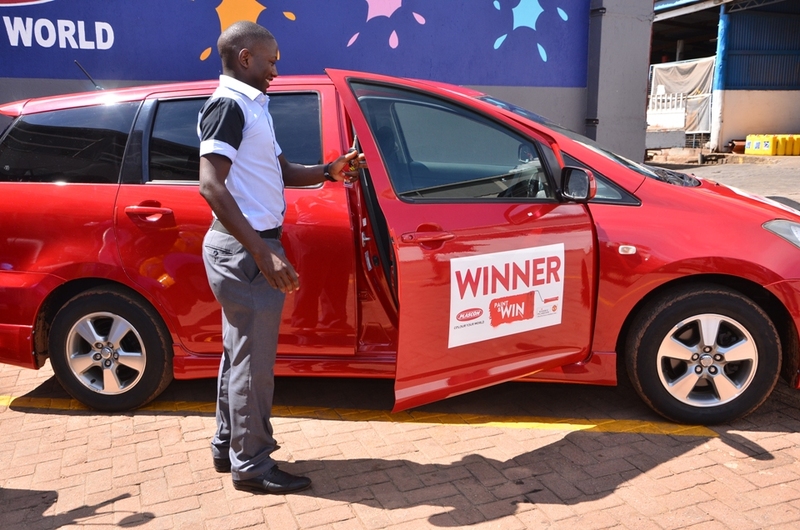 Micheal Sekirime was third winner of a Plascon motor vehicle in the ongoing ‘Plascon Paint and Win Season 6’ promotion. Plascon MD Chris Nugent on Tuesday (November 28, 2017) successfully handed over the brand new Toyota Wish to Sekirime at Shree Enterprises Ltd on 7th Street, Industrial Area, in Kampala where he bought the paint. So far, three out of the four cars have been given away. 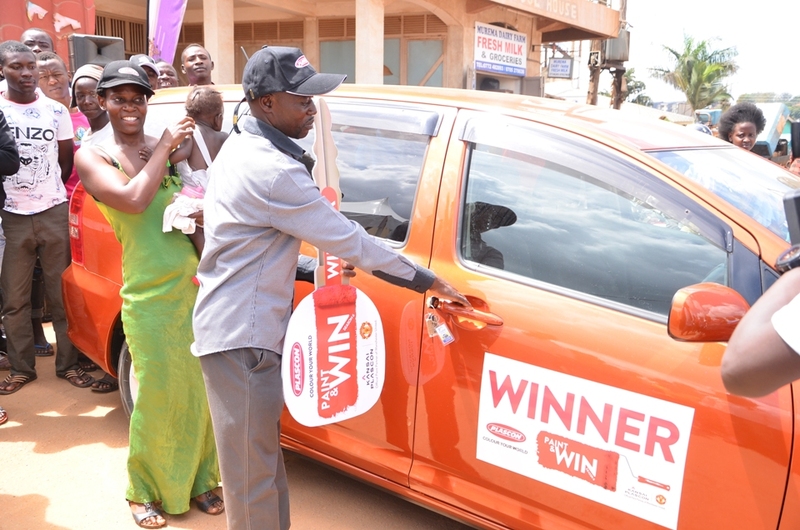 Alex Mulindwa won the first car, while the second car winner was Edward Namugela, who bought paint at Kash General Hardware in Mbarara. 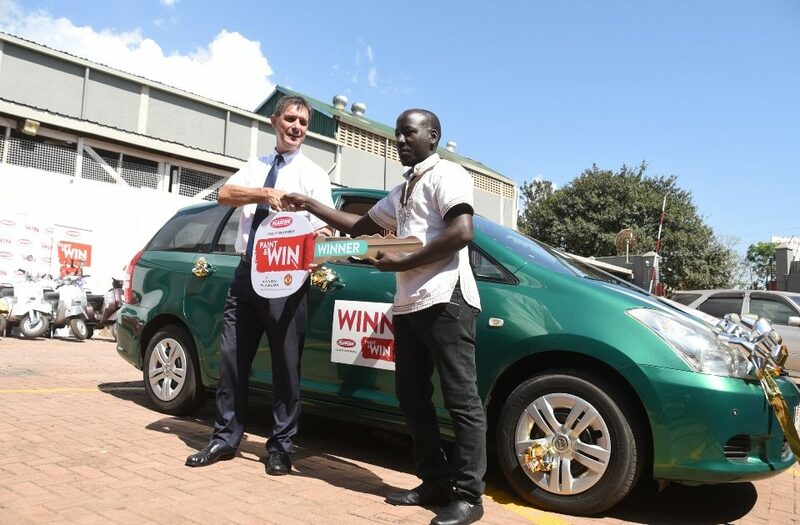 Alex Mulindwa receiving the first Plascon car that was given away. Also on Tuesday, Judith Ajambo was unveiled as the 2nd winner of an all-expense paid trip to watch Manchester United play live at Old Trafford. 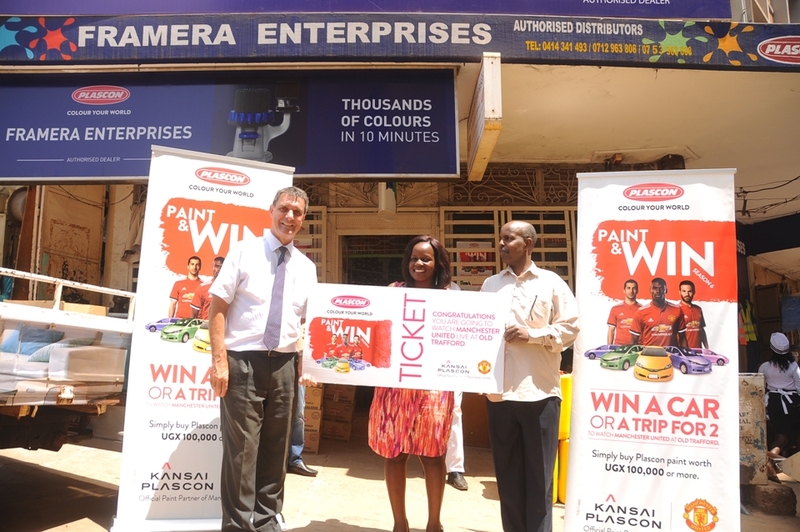 Kalibala George, a Chemist from Makerere was the first winner of the trip. The ‘Plascon Paint and Win Season 6’ promotion, which kicked off on 16 October, is running up to 16 December, 2017. 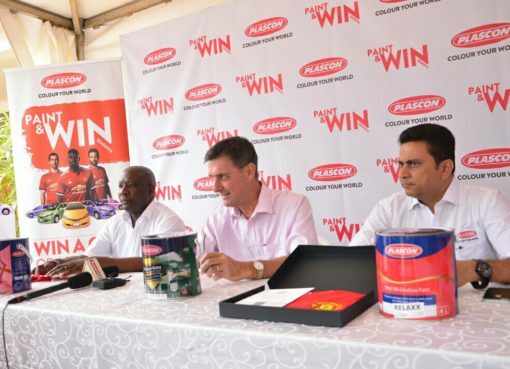 To participate, customers are required to buy paint worth UGX100,000 at any Plascon dealer shop, get a scratch card and SMS the code to 6565 and stand a chance to win some of the numerous prizes on offer including; new cars and fully expense paid trips to watch Manchester United. 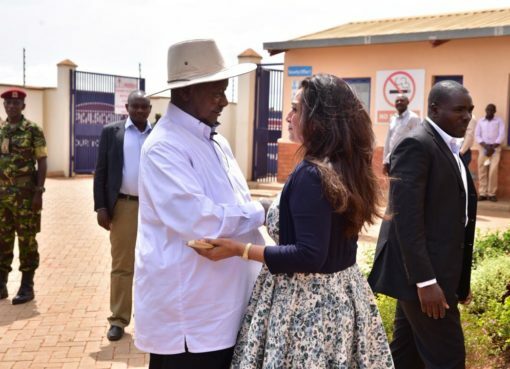 Other prizes being won in the promotion include mobile phones, scooters, TVs, daily paint vouchers worth UGX 500,000 and airtime worth 2000/=. 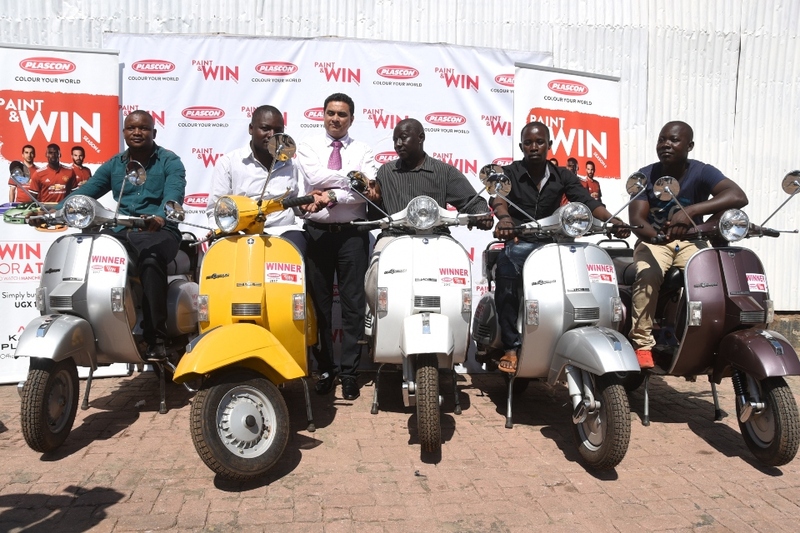 Plascon sales and marketing manager hands over scooters to winners of the plascon paint and win 6th draw that took place on 28th November. 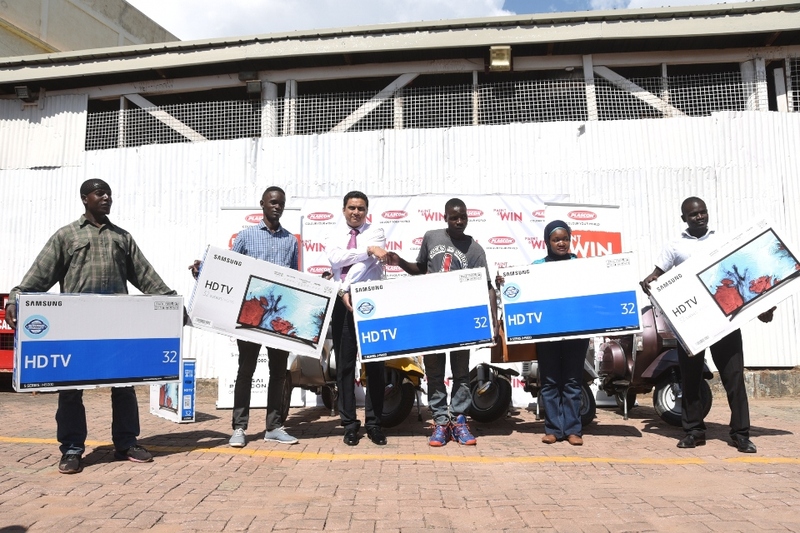 Plascon sales and marketing manager hands over TVs to winners of the plascon paint and win 6th draw that took place on 28th November.